It is Back-to-School season, and on some days you will wear your hair down in the most perfect, gorgeous curls. But, later that afternoon, it will get hot in Math class! What can you do to cool down? 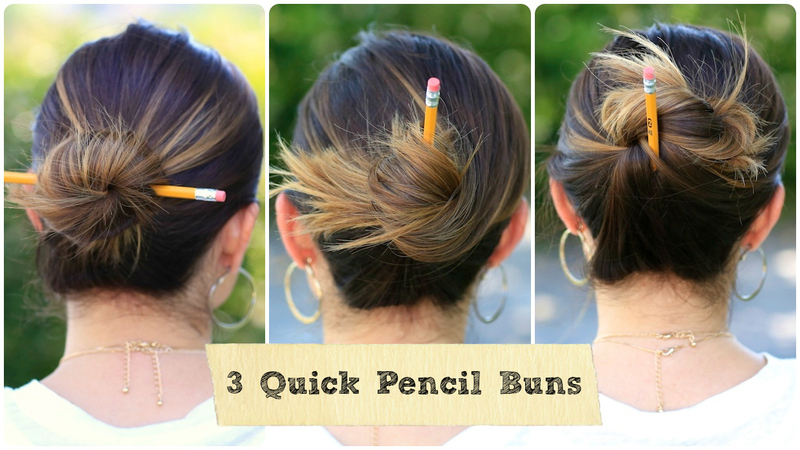 Today we will show you how to create each of these three easy Pencil Buns! 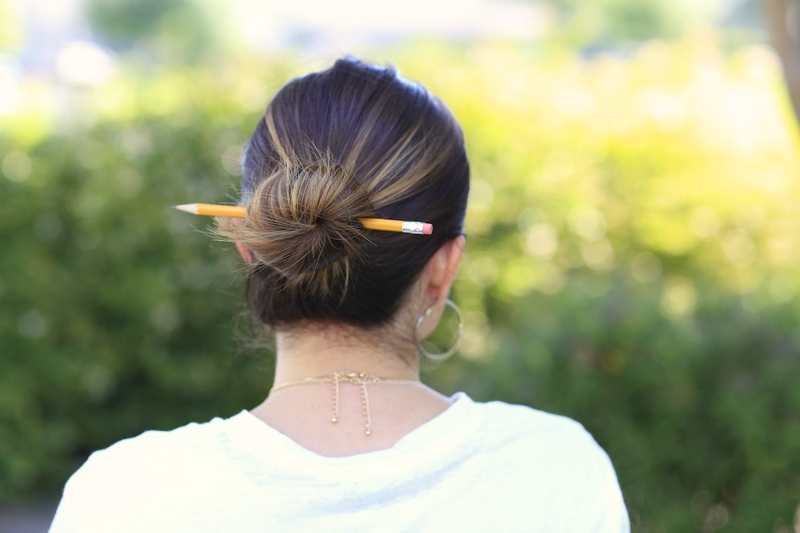 All you need is a pencil, and any one of these bun ideas will work perfectly! This can be done on straight or curly hair, with layers, etc, and it will look equally as cute, too! 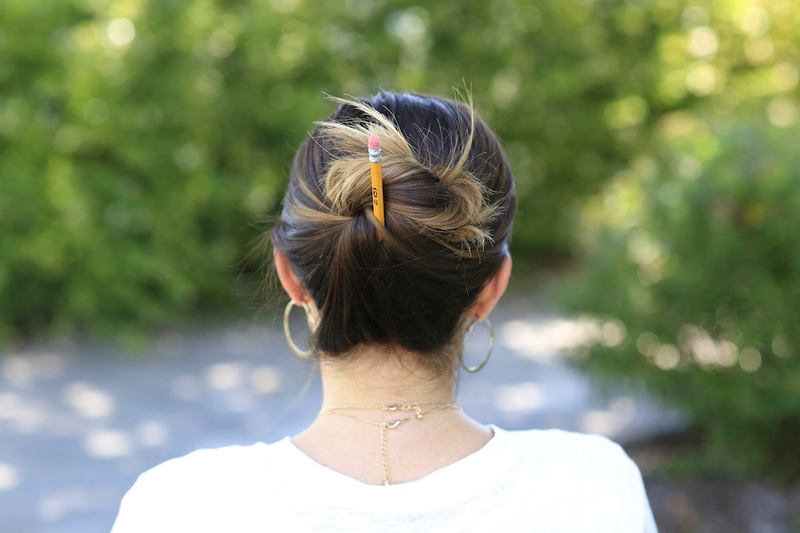 Some choose to use pens to facilitate the hairstyle, and others use chopsticks… it is all up to you! I prefer to use curls as the base for these buns, simply because the added texture helps the style hold easier. Today I show you how to create them on straight hair, because I wanted you to see that they can be done. There is nothing new to these styles, as teachers and secretaries have been wearing them for decades. Asian cultures have been tying up hair with in styles like these for centuries longer. 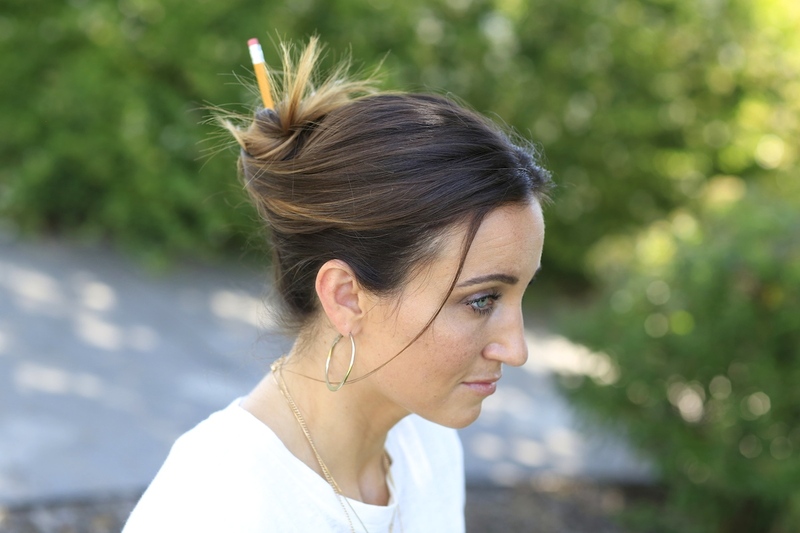 It’s just that when you are in a pinch, and want to tie your hair up, what do you do? 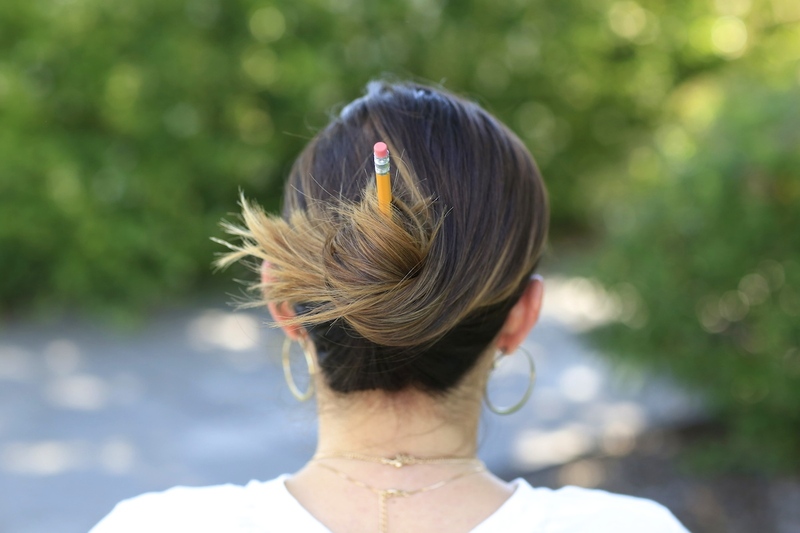 It is nice to have a few pencil bun ideas to choose from. 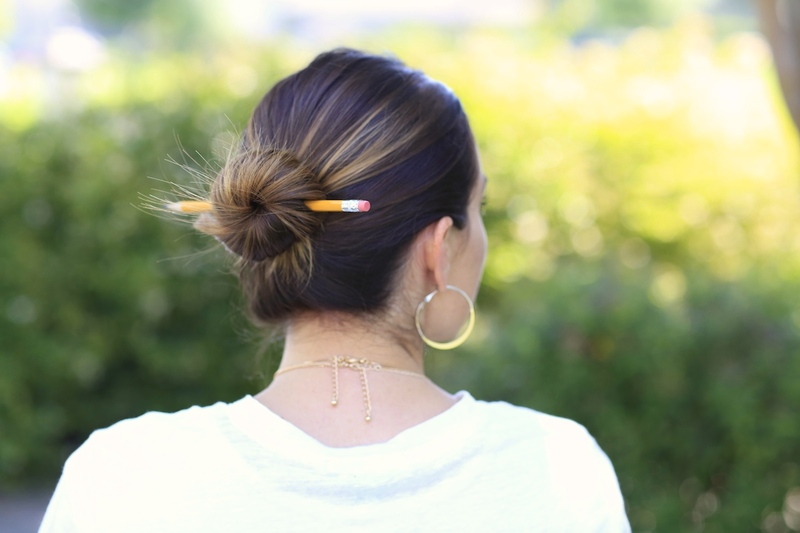 Then, as an added bonus…when you are done with it, simply pull out the bun, whip your head around a bit, and ejoy a few hours of subtle bouncy curls! Tuck in any loose ends, and you are done! 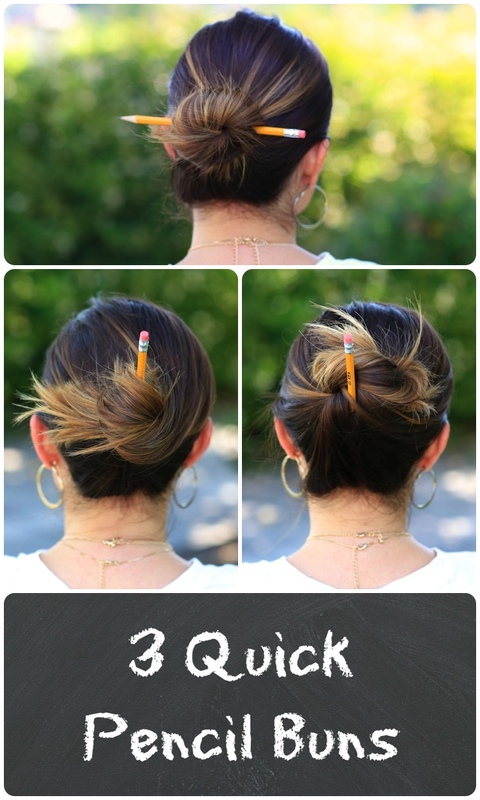 Please feel free to leave a comment below letting us know what you think of these three easy Pencil Bun Ideas!